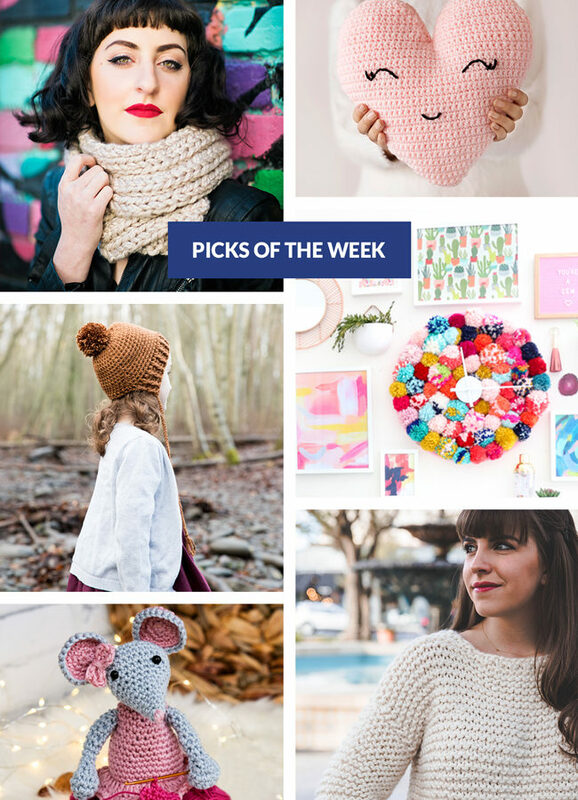 This week’s picks are a great seasonal cross-section of ideas, with such a nice selection of all things late winter/early spring! Could it be? 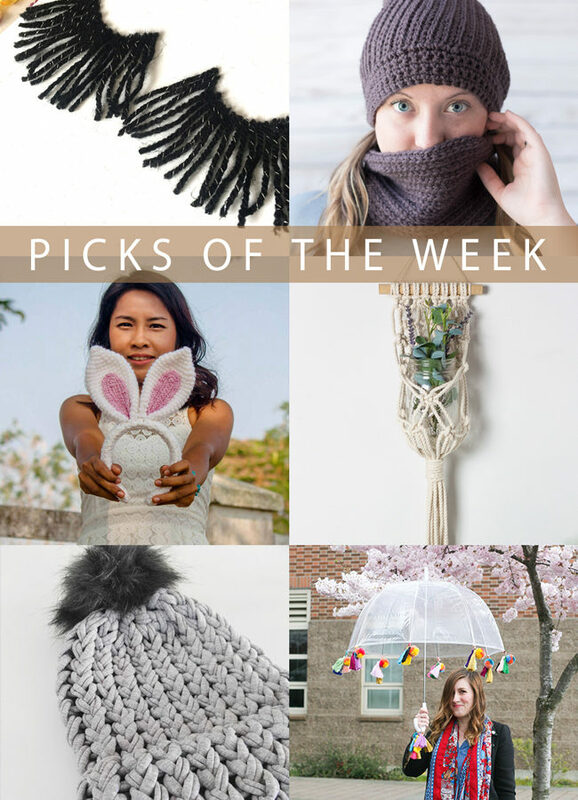 Are this week’s picks starting to hint, ever so slightly, at spring?! Even a winter freak like me can be excited for the earliest signs of a season change. 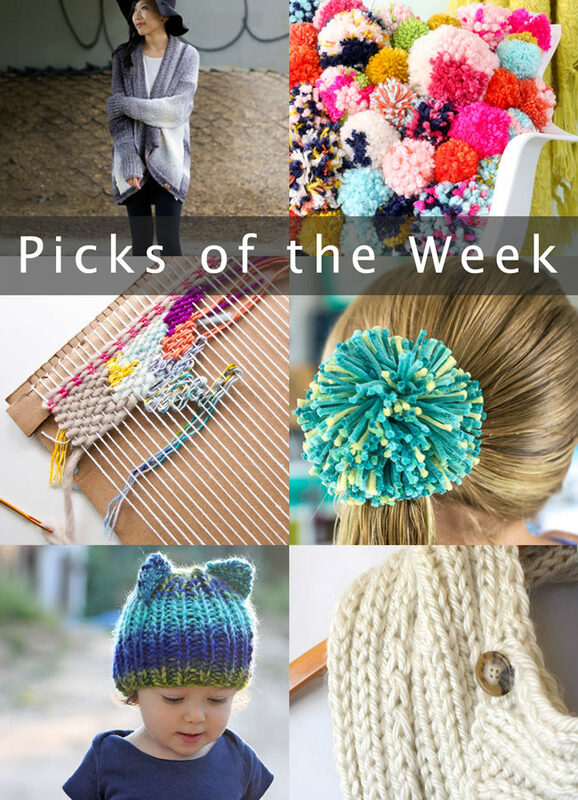 Looking at these fun-filled ideas, you’ll want to make so many things this weekend! Ooh! 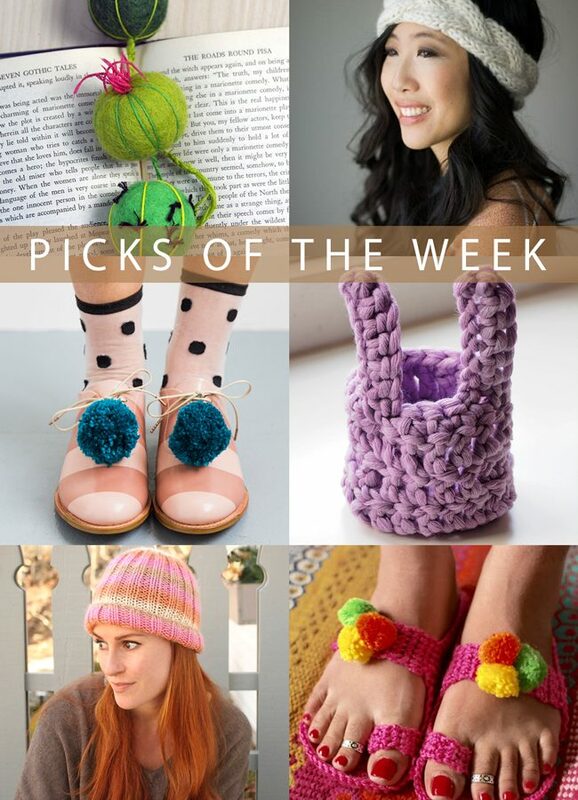 It looks like pom poms for your feet are a thing again – and not just for your roller disco skates! 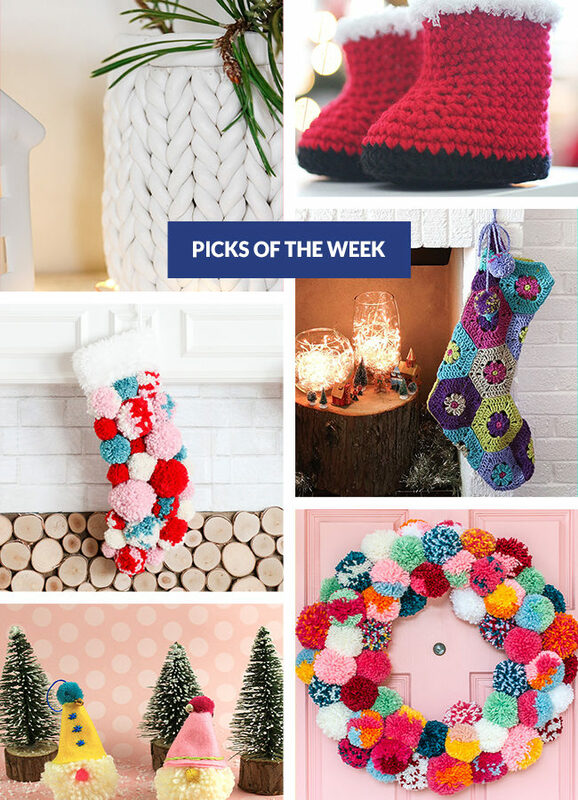 Everywhere you look this week, you see so many festive ideas, patterns and adorable pictures to go along with them. Take a look, pin these for next year, enjoy! 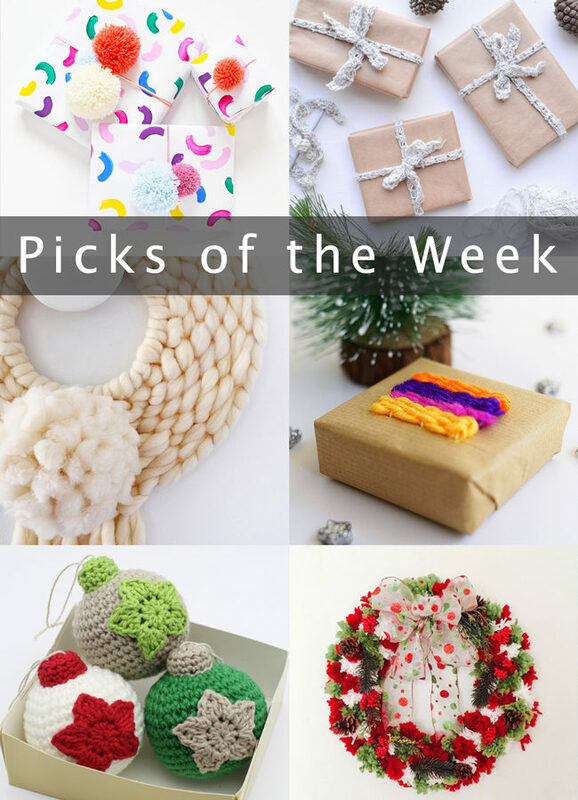 Come on, Christmas crafts! 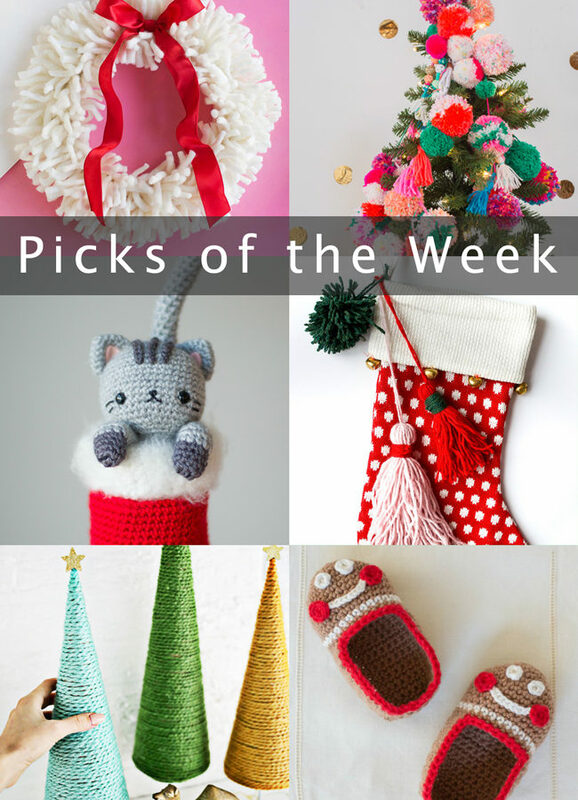 I think it’s clear that the pom pom and tassel train is going full steam, and it’s pretty great. Off to pom all the things, friends! 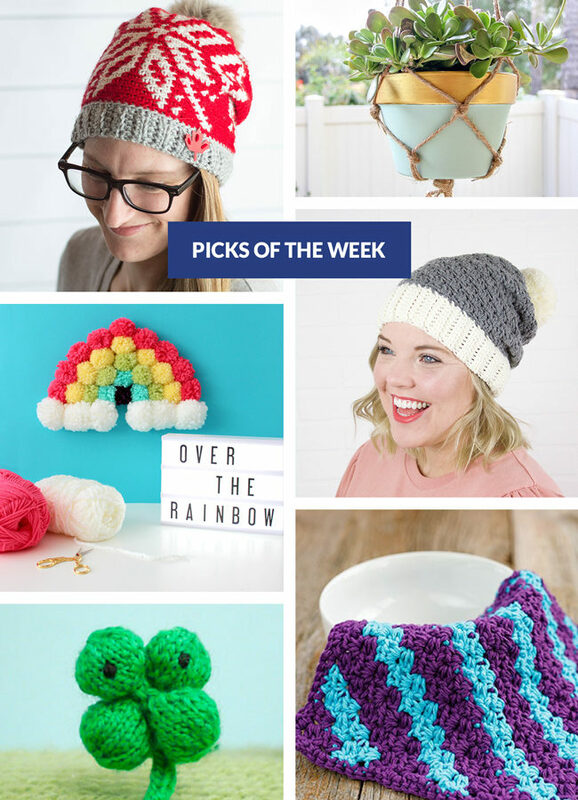 Looking at all the projects published on the blogs this week, you can tell that yarn season is officially open! 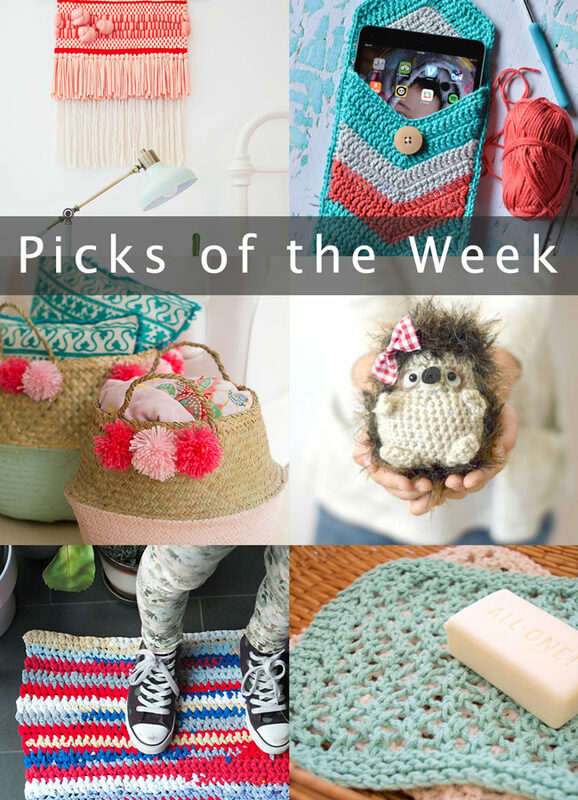 Whether you want to crochet an adorable hedgehog or throw together a bulky weaving project, this list has your weekend crafting covered.